Q: Does good parenting have a role to prevent rise in homegrown terrorists, crime and violence in the US society? When it comes to raising children, parents are more important than schools. Good parents can overcome bad schools, but good schools can’t overcome bad parents. Q: Do you think good parenting can play an important role in reducing gun violence? Steven: Much of gun violence is due to gangs. One of the strongest statistical predictors of joining the gang among kids growing up in a housing project in a study I did with Sudhir Venkatesh, was having a mother addicted to crack cocaine. So my view is that good parents can materially reduce gun violence. 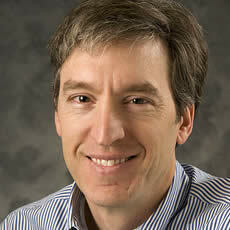 Read an interesting article on Steven Levitt and his comments on Why Data Needs Stories.